BOTOX® Cosmetic is a prescription medicine that is injected into muscles and used to improve the look of moderate to severe frown lines between the eyebrows (glabellar or 11 lines) in people 18 to 65 years of age for a short period of time. BOTOX® Cosmetic is administered by a healthcare professional as a simple, non surgical treatment that is injected directly into the muscles between the brows. It works by blocking nerve impulses to the injected muscles. This reduces muscle activity that causes moderate to severe lines to form between the brows. Individual results may vary. BOTOX® Cosmetic is a prescription medicine that is injected into muscles and used to improve the look of the “11s”, the moderate to severe frown lines between the eyebrows (glabellar lines). It works by blocking nerve impulses to the injected muscles. This reduces muscle activity that causes moderate to severe lines to form between the brows. Within days, you may see a marked improvement in the moderate to severe frown lines between your brows. Lines continue to improve for up to 30 days, a results can last up to 4 months. Individuals results may vary. Visible results have been shown to last up to 4 months. Your own results may vary - be sure to talk to Dr. Dean about what you can expect and when to schedule your next appointment. Discomfort is usually minimal and brief. Prior to injection, Dr. Dean may choose to numb the area with a cold pack or anesthetic cream. The entire procedure takes approximately 10 minutes. 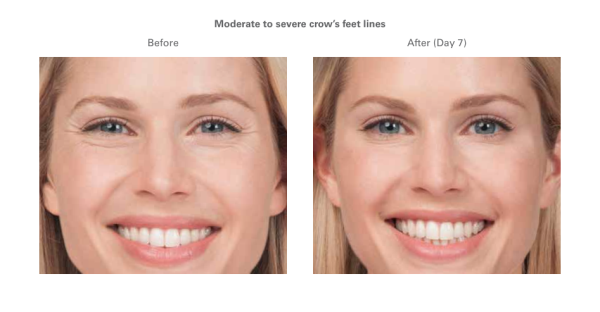 Most patients are in and out of the office without downtime following BOTOX® Cosmetic treatment. Side effects associated with the injection include localized pain, infection, inflammation, tenderness, swelling, redness, bleeding and/or bruising. If you do not continue treatments, the moderate to severe frown lines between your brows will gradually return to the way they looked before treatment. Although the results are visible, a treatment with BOTOX® Cosmetic (Botulinum Toxin A) will not radically change your facial appearance or make you look as if you’ve “had work done”. The muscle activity that causes frown lines between the brows is temporarily reduced, so you can still frown or look surprised without the wrinkles and creases between your brows. • you are allergic to any of the ingredients in BOTOX® or BOTOX® Cosmetic. 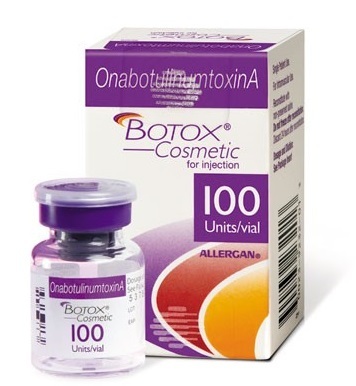 See the Medication Guide on the BOTOX® website for a list of ingredients in BOTOX® Cosmetic. • a disease that affects your muscles and nerves (such as amyotrophic lateral sclerosis (ALS or Lou Gehrig’s disease), myasthenia gravis or Lambert-Eaton syndrome). See “What is the most important information I should know about BOTOX® Cosmetic?” in the Medication Guide on the BOTOX® website. BOTOX Cosmetic can cause serious side effects. See “What is the most important information I should know about BOTOX® Cosmetic?” in Medication Guide on the Botox® website. • allergic reactions; symptoms of an allergic reactions to BOTOX® Cosmetic may include: itching, rash, red itchy welts, wheezing, asthma symptoms, dizziness or feeling faint. Tell your doctor or get medical help right away if you are wheezing or have asthma symptoms, or if you become dizzy or faint. These are not all the possible side effects of BOTOX® Cosmetic. For more information, ask your doctor or pharmacist. Call your doctor for medical advice about side effects. You may report side effects to FDA at 1-800-FDA-1088. Information from www.BotoxCosmetic.com. Consult this website for further information.